Amy Supergan has battled a host of difficult and painful disorders. Now she's found a way back to enjoying her life and her family. 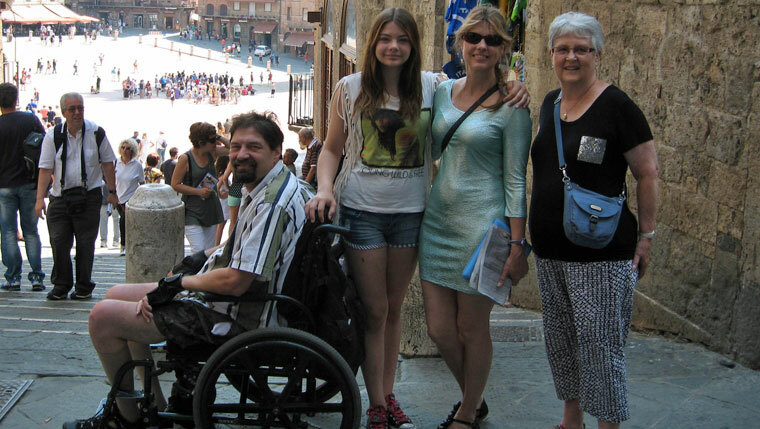 In the summer of 2013, Amy Supergan took a trip to Italy. That may not sound extraordinary, but there was a time when being able to travel and enjoy a vacation with her family seemed like an impossible goal. Amy faces a range of challenging medical problems, but at the top of that list is pain so debilitating she was forced to quit her career and give up an active lifestyle. But through the care she has received at Mayo Clinic and her participation in an innovative clinical research trial, Amy has found a renewed ability to manage her pain, and enjoy friends and family when she is able. "Although I may never ski again or be back at work, with the help of all of my doctors at Mayo, I am now able to live independently with some assistance," she says. "I have found happiness in being more relaxed and appreciating some of the smaller things in life. I don’t feel like I’m missing out on life as I did before." Amy's health problems began at an early age. When she was 10, she went blind in her left eye. At that time, during the mid-1970s, doctors in her small Midwestern town couldn't identify the underlying cause of her vision loss: a meningioma brain tumor. This type of slow-growing tumor arises from the meninges — the membranes that surround the brain and spinal cord. Amy's tumor went undetected for years, and it led to severe headaches that were often misdiagnosed as migraines. As she got older, the headaches subsided for a while. Amy graduated from college, embarked on a successful career and got married. In her free time, she ran marathons, downhill skied, taught step aerobics, and cared for her husband, Jeffrey, who is a quadriplegic. 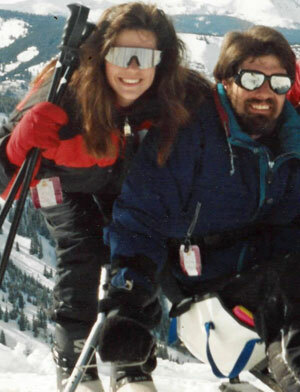 "My husband and I even skied almost every year in Colorado," she says. "Life was good!" After the birth of her daughter, however, Amy's life changed dramatically. Her headaches returned stronger than ever, along with severe jaw pain and intense pressure in her damaged eye. A local neurosurgeon found the brain tumor, and Supergan underwent the first of what eventually would be seven craniotomies. After the first surgery at a local hospital, she experienced severe pain that couldn't adequately be relieved with medication. Additional surgeries followed, and with them came a host of serious complications. At one point, a leak in the fluid around her brain caused repeated and uncontrollable vomiting at the same time air from a damaged frontal sinus compressed her brain, allowing more fluid to escape. "The cycle was one that I knew I couldn’t survive," she says. "It was the first time since I started this ordeal that it dawned on me that I was losing the battle." After a third craniotomy, a friend convinced Amy to seek another medical opinion, and she and her husband traveled to Mayo Clinic in Rochester, Minn. There she met neuro-oncologist, Daniel Lachance, M.D., who over time has helped Amy sort through and develop a treatment plan for an extremely complicated array of medical conditions. "He has consistently remained open to every possible method to control the pain, including various surgical and pharmacological possibilities," she says. Included among her more than a dozen diagnosed disorders was atypical trigeminal neuralgia. This chronic condition affects the trigeminal nerve, which carries sensation from the face to the brain. Trigeminal neuralgia can lead to excruciating pain. Many describe the pain as feeling like "being stabbed with a knife that is attached to an electrical outlet." Doctors often refer to trigeminal neuralgia "the most excruciating pain known to man." Atypical trigeminal neuralgia has the added effect of causing a continual background headache and pain behind the eyes. It can affect nerve branches in the forehead, cheek and jaw. To manage trigeminal neuralgia, along with pain triggered by another chronic disorder, anesthesia dolorosa, Dr. Lachance suggested Amy consider participating in a Mayo Clinic clinical research trial investigating the use of neurostimulators for pain control. A device was surgically placed by Kendall Lee, M.D., Ph.D., and his surgical team on the motor cortex of her brain, delivering electrical stimulation 40 times a second via 16 electrodes. For a week after the surgery, Amy remained in the hospital. During that time, she was carefully monitored by her Mayo Clinic team to assess how well the neurostimulator was working. To her immense relief, the device offered significant pain control — a 50 percent improvement, she says. She went home with the device in place, and it continues to deliver reliable pain management. Although she has seen tremendous improvement in her health over the last several years, Amy has accepted that it is unlikely she will ever return to her old lifestyle. But she sees clear benefits that have come from her experiences. "My health challenges have taught me that who I am as a person, a wife, and a friend are more important than running that race or getting that promotion," she says. "I am fortunate to have a loving and understanding spouse and family. We all just try to enjoy what we can when I’m feeling well enough." She credits the coordination and collaboration of her Mayo Clinic care team with easing the stress of finding ways to cope with her complex medical situation. 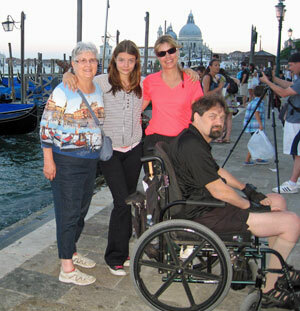 "When you have more than one medical challenge as I do, it is such a relief to have Mayo manage your care," Amy says. "I do not have to make sure each doctor has current scans or a list of medicines. I can have an MRI in the morning, and every doctor I visit that day already has the scans available and ready to view on their computers. Having an illness is difficult. Managing it with the level of competency in care that I receive at Mayo has made things so much less complicated." Learn more about pain management at Mayo Clinic.